Considered by Ty Cobb as the “finest natural hitter in the history of the game,” “Shoeless Joe” Jackson is ranked with the greatest players to ever step onto a baseball diamond. With a career .356 batting average—which is still ranked third all-time—the man from Pickens County, South Carolina, was on his way to becoming one of the greatest players in the sport’s history. That is until the “Black Sox” scandal of 1919, which shook baseball to its core. While many have sympathized with Jackson’s ban from baseball (even though he hit .375 during the 1919 World Series), not much is truly known about this quiet slugger. Whether he participated in the throwing of the World Series or not, he is still considered one of the game’s best, and many have fought for his induction into the National Baseball Hall of Fame. 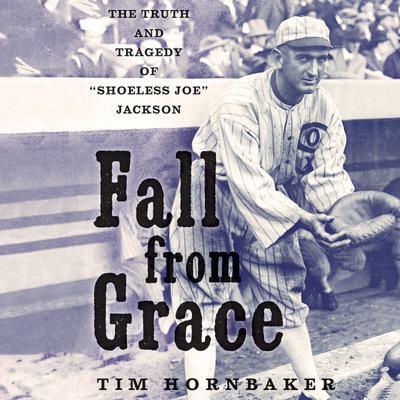 From the author of Turning the Black Sox White (on Charles Comiskey) and War on the Basepaths (on Ty Cobb), Fall from Grace tells the story of the incredible life of Joseph Jefferson Jackson. From a mill boy to a baseball icon, author Tim Hornbaker breaks down the rise and fall of “Shoeless Joe,” giving an inside look during baseball’s Deadball Era, including Jackson’s personal point of view of the “Black Sox” scandal, which has never been covered before.